Ask any Indian girl what their mainstay beauty product is and kajal is certain to feature in their list. It’s simple to use, incredibly versatile and can work its way in many different looks. The only problem arises in monsoon when kajal can’t withstand water and leaves racoon eyes in its wake. To avoid that, choose waterproof kajal this season. They do more than resist water and promise not to move an inch, no matter how hard it pours. Eyeconic may have launched 6 years ago but its popularity still hasn’t faded. It is soft and highly pigmented so only a few strokes are enough for a jet black coat of colour. 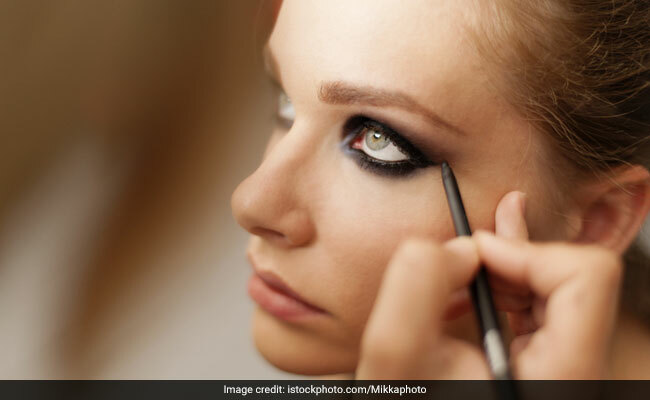 Apart from minor smudging, this kajal stays put for hours even when the rain makes an appearance and is available in a variety of colours from white to grey. In all likelihood, you’ve seen this purple pencil being raved about on social media. Plum’s kajal pencil may be one of the newest entrants on the block but is definitely one of the current bests. It is intensely creamy and soft, which makes application on delicate areas like the waterline easy. It does require more than one stroke for full pigmentation to be visible but once it is, it isn’t going anywhere or smudging, come hell or high water. This kajal is also 100 percent vegan and free of preservatives, making it more natural for your eyes. Bonus points that it also comes in brown and green for a pop of colour. If you want a kajal that will do more than just line your eyes, this award-winning one might be it. It works as an eyeliner, kajal and shadow as well, thanks to the handy smudge brush at the other end. Besides promising to stay put in monsoon, it also has a matte finish and rich black colour. Additionally, it also comes in 9 different shades from burgundy to blue to spoil you for choice. What has a soft texture when applied, leaves a jet black finish and doesn’t budge for hours at a time? This kajal. Add to that the fact that it’s free from paraffin, preservations and animal testing you’ve got a winner for the season. Take note of these waterproof kajals before the next shower.